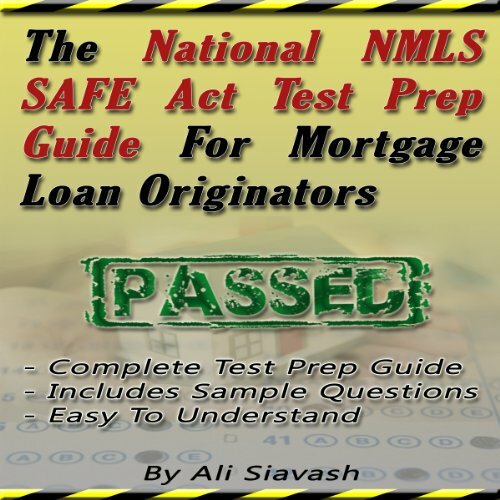 Showing results by author "Ali Siavash"
The National NMLS SAFE Act Test Prep Guide for Mortgage Loan Originators is a complete test prep guide designed to help you cram all the necessary and important facts you'll need to know in order to pass your test. It covers test taking tips, federal rules and regulations, ethics, mortgage products, definitions, sample test questions, and much more. This book is not affiliated with the NMLS and does not count towards the required 20 hours of pre-licensing education.